Protect your furniture while you rock out. Four eye-catching coasters. Inspired by the super-popular band KISS. 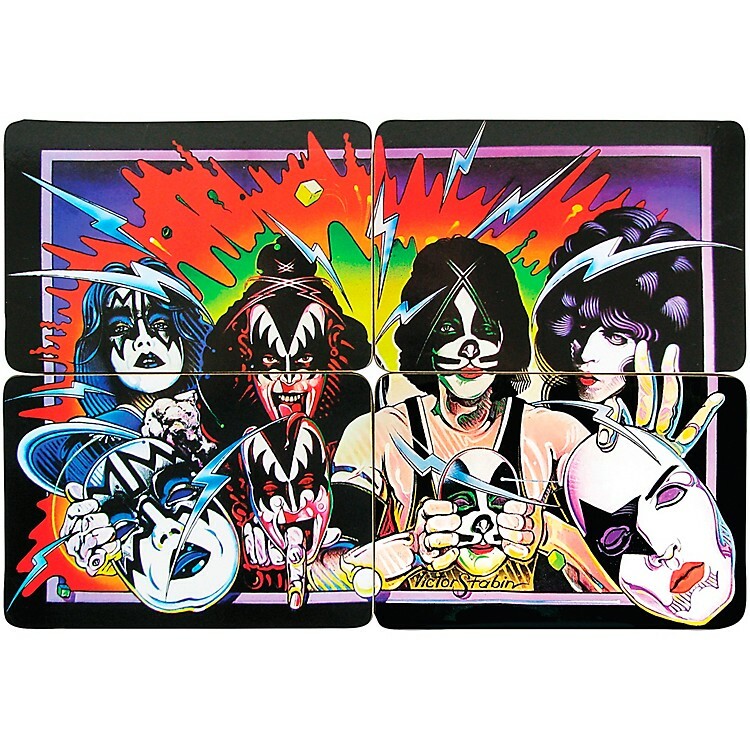 When you put the 4 coasters together they make up the artwork included in the KISS Unmasked album.